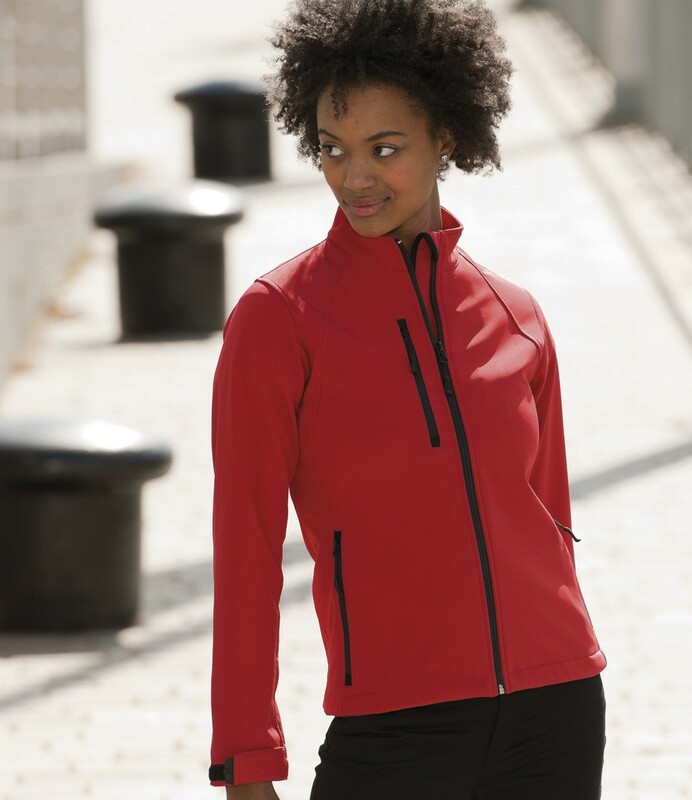 A ladies soft shell jacket ideal for layering at work. 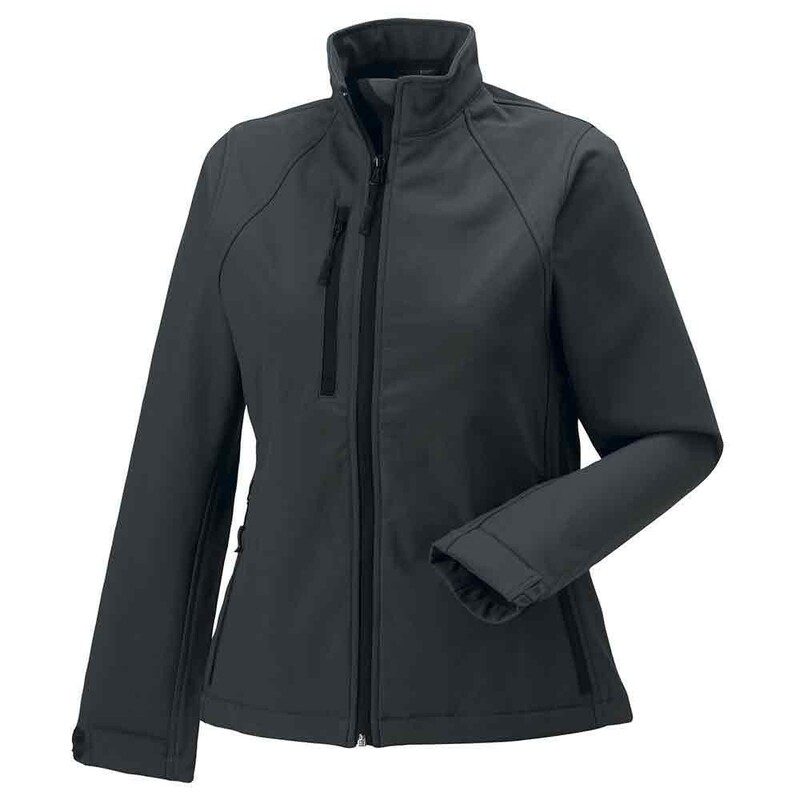 The 140F Jerzees Ladies Soft Shell Jacket is breathable, windproof and water resistant, features 92% polyester/ 8% elastane fabric consisting of woven surface, performance membrane and inner microfleece layer. Fitted style. Mesh lined front panels. 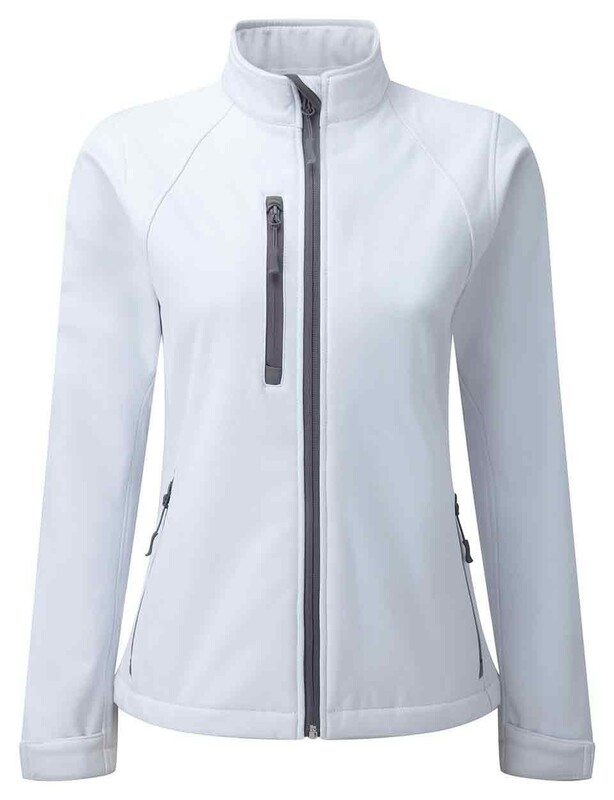 Full zip with inner storm flap. Adjustable cuffs. Front zip pockets. Right chest zip pocket. Drawcord at hem.